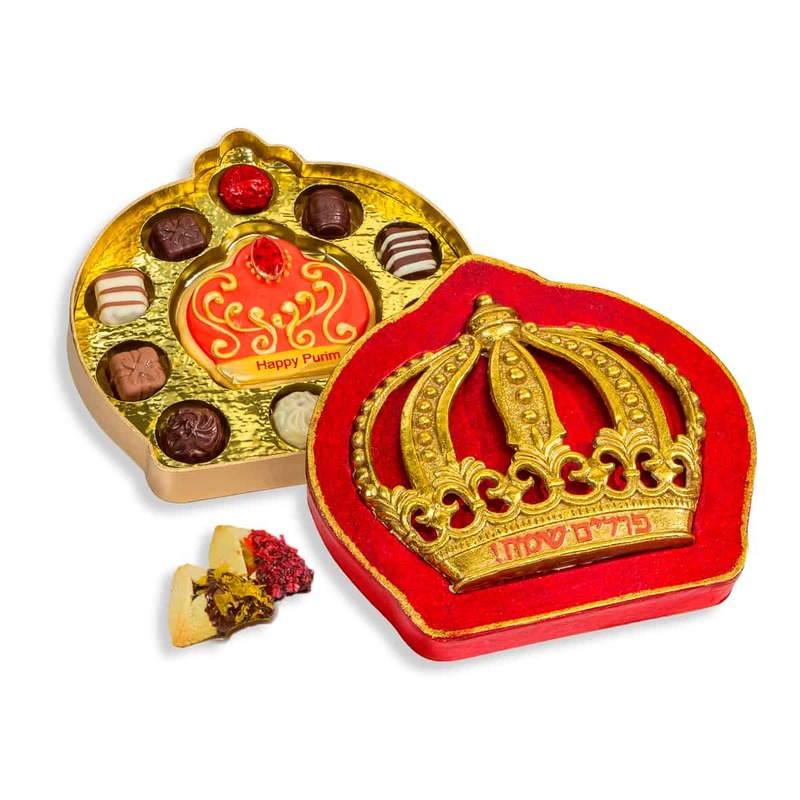 Elegance meets tradition with this distinctive Mishloach Manos. Lift the three-dimensional resin lid and discover an array of gourmet chocolate truffles and hand decorated cookies all in a specially designed tray. When the treats are gone it can be used as a wall hanging or a keepsake box. Arrives with hand-decorated hamentaschen.